From time to time I have conversations that cross over between my gaming life and my spiritual life. I suppose it should not come as a surprise considering D&D represents "another life" where different faiths and another cosmology exists - and, if you believe like I do, that God works out His purpose in everything that we do, then I am bound to have my hobby used for His glory. In the past, I have come across the arguments disapproving of D&D among Christians, but, I believe this is due to a confusion and misunderstanding of the game. This is not always the case, however, as I strongly agree with the objections raised of mixing real world faiths with fantasy. On the whole, however, I believe the ability to communicate ideas through play is not without its merit, as long as it does not interfere with or replace biblical study and worship. So what has stirred me to write on this topic today? The answer is a combination of watching another Horizon program called, "What Is Reality?" and being asked by a friend, "What is the point of looking into Christianity if everything is pre-destined?" (In my Christian faith, I believe in God's pre-destination over man's freewill.) Now, while I do not agree with every detail spoken in the Horizon program, I do have sympathy for some of the ideas, which reminded me of both my own cosmology design for my D&D campaign and the reality of life from a Christian perspective. In particular, the program touches upon how maths can be used to describe every aspect of reality. It shows how maths (something abstract and non-tangible) can be used to describe and demonstrate creation in everything we know about reality. If you are interested, I found that you can still watch the program on You-Tube. Here is the link to Part One (I have since discovered this link has been removed .... sorry! - I may try to post a clip from my own copy that I still have if people are interested? - I found this link that has some of the show.) if you want to watch the program for yourself. It is fascinating. The links to the other three parts can be found there without too much difficulty as well. This blog can be considered the third instalment after the blogs I made on The Infinite & Destiny and Nothing Matters! (Dark Matter). It is my open ramblings as I try to explain how I see "reality". Although, to be clear, this post is just me thinking allowed and should not be taken out of context or as a definitive explanation of what I believe. As always, I would very much appreciate your own thoughts on this matter, be they pertaining to any real world beliefs you may have or for your own D&D cosmology. Since the coming of computers, we have been blessed with an understanding and illustration of "life" that was probably once reserved for TV and cinema, and before that, to books and the imagination. With computers, however, we have the ability to take an abstract concept (maths) and make it into something that appears "alive" and "real" in a way unlike anything we could before. Take, for example, art packages and 3d model programs. All the images that we make with them are a complex pattern of codes that have been translated into an image or working object on a computer screen. When you break it down into the simplest bits, you eventually end up with binary code, an extremely complex pattern of 1's and 0's, "on" and "off" switches. In a fashion, old black print newspapers used this concept to provide print and images on the page, which when looked at under a magnifying glass would show how they were made up from many tiny dots (1's) and blank paper (0's) on the page. The point I am trying to make, however, is that as we have become better at understanding the maths and being able to manipulate the code on a computer, so the images and models have become more "realistic". Take this one step further, like any good sci-fi program does, such as Red Dwarf or the film, The Matrix, and what was once simply images stored in code becomes a "physical reality". 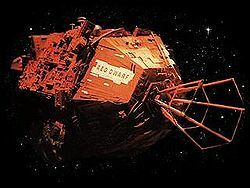 In Red Dwarf, for instance, the complete consciousness of a dead crew member (Arnold Rimmer) has been stored in the ship's computer. This extremely complex code is then made to project a holographic image of the original crew member, who then becomes conscious again as a hologram. In a later series, the crew of Red Dwarf come across a being who is able to recode the existing hologram (made of normal light) into something called "hard light", whereupon the holographic Arnold Rimmer, becomes, to all intents and purposes, a physically solid human being once more. In the film, The Matrix, super computers have created an image of the world in a super mainframe called the Matrix. Human beings are plugged into the Matrix where their consciousness experiences a "reality" that the super computers want them to live. Although the world of the Matrix only exists as code, to all its "inhabitants", it is as real as can be. Only those outside of the Matrix can see the code for what it is. I know these ideas have been around for some time now, but the idea that worlds and everything about them (including humans) can be made of complex mathematical code is a relatively new concept. There were comparable ideas in earlier times, such as in Shakespeare's "As You Like It", declaring "All the world's a stage and all the men and women merely players", but these are not used in the sense I am describing. Interestingly, however, I believe the Bible does allude to something more akin to the latest ideas, but the language is spiritual rather than mathematical. Corinthians 1 C13:v12. "For now we see through a glass, darkly; but then face to face: now I know in part; but then shall I know even as also I am known." I assume we all recognise the idea that the DM or a builder of a module as the "god" of the D&D world he or she creates; in that they design the world and cosmology (if any) in which other players explore and play. To all intents and purposes, the player playing the DM knows everything there is to know about the world they have designed and all the possible outcomes, and governs the players actions throughout a gaming session. To make this point clearer, if we take the builder's role as DM out of the game and simply refer to them as the designer of a computer module, then assuming there are no coding errors, they would know every potential outcome for the players of their module. Take this one step further and assume they also know all the dice rolls ahead of time as well as the paths and actions the players will take and you have a game designer who knows every outcome of all play of their world module ahead of time. 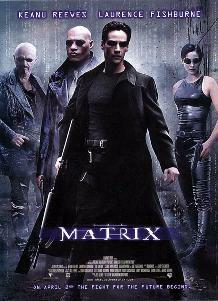 Returning to the film, The Matrix, there is a character in the film, called The Architect, which is the controlling super computer of the Matrix. Imagine a version of this character with the same ability to control everything, but who is also fully human, complete with human characteristics such as love, and maybe you have an idea of the God of our universe (from a Christian perspective). Unlike the film, however, the Christian God (as I believe Him to be) would also know the actions (codes) of every human who lived because He built them too. Therefore, there are no human "variable factors" in God's universe (as there were in The Matrix film) , which would mean God is fully in control and that everything is pre-destined to His will. He is sovereign. This cosmology concept is something that is only hinted at throughout the game play, and is something that will only come to light and finally be revealed in full when the game reaches a specific point in time. In the last 23 years of real time play, only now is the truth beginning to be revealed and is something that I hope to expand upon in Better The Demon. Returning to my main discussion, however, I wanted to point out that the common theme between everything I have said so far, which is: Reality is far more than what we immediately perceive, especially if we consider reality exists of more "code" than we can currently understand. 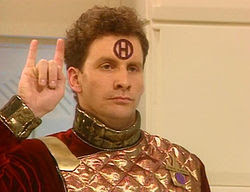 Whether looked at scientifically (Horizon), demonstrated through humour (Red Dwarf), excited through film (The Matrix), used as a D&D cosmology, or even alluded to in the Bible, we cannot avoid being caught up and being embroiled in the illusion that holds us in ignorance to the fullness of reality. With the concept of designing a module in mind, humour me, and let us consider the design of our own reality like this for a moment. Any module idea has to come from somewhere, and, for obvious reasons, I will assume the whole idea is of God. (Christian's call it God's Plan.) You can perceive "God" in any manner you like for now, but for purposes of this thought process, I will take my lead from the Bible and apply some of those aspects (linguistic terms) we have used above. I cannot avoid also using some biblical terms and concepts in the following paragraphs and I hope the reader will not take offence and can appreciate them in the context of what I am trying to explain. To start with, an "idea" is nothing more than an "image" in the mind of its creator. Note, the image does not have to be a static 2d image and can be imagined in as many dimensions as the creator desires, and can include perceiving this image as if time was passing. For example, as a module builder (or story teller), you can imagine the whole story from start to finish as well as aspects outside and beyond the story itself that may even have an impact on the story. e.g. If you experienced and understood "love", then it can be an aspect you intend to add to your story even before the story is written or fully formed. In other words, the experiences you have had and the limit of your imagination are the governing factors of your initial "image". For God, by His very nature, there is no limit to His creation because He has access to (is author of) the entire "code" (all knowledge) of everything. He is not limited to the snippets of the code that we understand, but, even as the entity behind the code itself, God can shape the image of the code into anything He desires. I imagine such code as always having been present and to be of God. Man may discover an aspect of this code, but it is nothing new. In other words, E=MC2 existed before Einstein "discovered" it. All mathematical code exists as an abstract non-entity, much of it outside any understanding we have within our time limited existence. God exists in much the same way as the abstract notion of mathematical code, but God, knowing all code and formulae that make up everything we know, is capable of being human, with human attributes, and much more. For this reason, He is recognised as being comprised of all those attributes we consider most dear to us as human, the highest of which is love. God, being the source of all things, has access to all things, including being the personal loving God of the Bible. Yet, as mere humans, we are incapable of understanding the complete code, the complete entity that is God who is in everything and everywhere. Yet, God can use the knowledge of the code to create something more than just an intangible image. He can manipulate the formulae to create substance and a reality with dimensions, where further creations (us) can be placed within and continue to live according to His will. Or to stick with the module analogy, God writes a program using the code to create the universe in which we live. Later, accessing the same code, He creates humans (us) to live inside the universe where He has used other code to turn the mathematically designed three dimensional objects and images into substance that we know as the elements. Note, if it was possible for a character in a cRPG module to gain consciousness and start to query its environment, how would it explain the rock formations that we (as game designers) have painted down with textures? Would it talk about a God who created the world in which it lived, or start to see patterns and form ideas about a universe that evolved through time? Furthermore, would the same "conscious computer character" understand the meaning of "substance", "pain" and "death" as we understand it in the "real" world? We, as module designers can program in "collisions", "bump states", "hit points" and "death" for these created characters, which would all be "real" for them, but are obviously only a pale imitation of what we mean by "real". Now most of us are probably familiar with the story of Adam and Eve and The Fall - and most might probably now be arguing the point that Eve chose to eat of the apple implying the "freewill" of man as opposed to any pre-destined plan of God. Yet, we must remember that this is God's Plan, His story! His module if you don't mind me saying it like that. He knew what was going to happen and already had His module planned to play through. For me, the question I struggle with most is: If God has everything pre-destined for everybody (no freewill because He is the source and rules of everything), then how can individual men be held responsible for their sins? However, the Bible (as I read it) is clear in the doctrine of pre-destination, and as much as I struggle to understand it, I am led to believe it and am humbled by the fact that God has selected me, a sinner, to be one of His chosen. For no-one, by any merit of their own, deserves to be saved. To be clear on this point, I believe I did not choose to become a Christian, but that God chose me to be saved through Jesus Christ, His son, before I was even born. There are clear examples of where God obviously has chosen people for glory or for hell. In Malachi C1 v3 "But Esau I have hated, and I have turned his mountains into wasteland and left his inheritance to the desert jackals." In Exodus C7 v3, God "hardens" pharaoh's heart. In Matthew C25 v31-46, Christ, Himself, speaks of the sheep and the goats. There are also many verses in the Bible which speak of God's pre-destined plan for His people and of people's lives even before they have been born. You may now be raising the same objection as my friend did that I mentioned at the start: "What is the point of looking into Christianity if everything is pre-destined?" Well, to answer this, I have to answer in much the same way as I did to people who said, "What is the point of playing D&D if there is no end to it?" At least, that was a very common question when I played the game in the early days. And, of course, the answer is similar in both situations: "Because it is a race to be run (or a game to be played)." As participants, we do not yet know the results of the "game" even if God does. The bottom line is, we are part of God's Plan, for better or worse. However, the Bible also teaches us that salvation is possible! Am I contradicting myself? No - to repeat the reason why .... we do not know the outcome of our lives, even if God does. Ever since God revealed Himself to us, He has given those that He has chosen to believe a means to come to Him. From the giving of the Ten Commandments, through the prophecies of the Old Testament prophets, to God coming out from the abstract word of the Bible to living flesh in Jesus Christ, God has been speaking to His people. Yes, I believe God Himself came from His abstract form into His creation to demonstrate His love for us and to show His "sheep" the way of salvation. As a poor analogy, it would be like a module designer creating a character of themselves to enter the module and speak to the player's PCs directly about winning the treasure - A DM revealed! To all intents and purposes, this coded DM character has all the knowledge and power of the original game designer, as it *is* the same person, but limited to the boundaries of the computer module, in a similar way Christ was "limited" in His earthly form. (Not necessarily "limited" in a way one might be thinking though.) To quote the Bible passage I used above again, Corinthians 1 C13:v12. "For now we see through a glass, darkly; but then face to face: now I know in part; but then shall I know even as also I am known." We currently only see a small part of what is real with respect to God and reality with what we have seen through Christ, but this does not change the truth, which Christ claimed to be: John C14 v6: "Jesus saith unto him, I am the way, the truth, and the life: no man cometh unto the Father, but by me. v7 If ye had known me, ye should have known my Father also: and from henceforth ye know him, and have seen him." In other words, if you do not believe in the Bible, or what it teaches (God revealed), then, in theory, you have nothing to fear from your own perspective, because everything I have spoken of from the Bible will mean nothing to you. You are "not chosen", but being "not chosen" will not mean anything to you either. You will not have "heard the word" as explained in the parable of the sower (Mark C4 v 1-20). Ironically, the same Bible people claim not to believe explains why they do not believe it. Such unbelief should not come as a surprise to a believer. However, if there is any inkling whatsoever that you feel there is some truth to what the Bible says, then it behoves you to look more into it and to study it further ... and if this is God's will, you will do so. The important point, however, is that if you do begin to understand the concept of sin in your life, then you are, most likely, chosen already and the only reason you struggle to come to terms with declaring your faith (that God has chosen you too) is because the same Bible teaches us that the devil also exists and tries to try to stop you from living out your salvation now. Do not misunderstand me here: It is impossible for the devil to prevent you from being "saved" by God (after all, it is pre-destined), but it is possible for you to not enjoy your salvation while on Earth. But isn't this pre-ordained too? The answer is "yes", and the only guidance I can give you as a response is to read the Book of Job from the Bible. The Book of Ecclesiastes (my favourite book of the Old Testament) is also an excellent book to read about the meaningless of life without God. And as you do not know where your life will go at any time in the future, you must not assume the worst. To do so is to fall for the devil's lies. And, of course, there is also prayer. If there was any way for a human locked into a pre-destined path to find comfort, it is through praying a prayer that coincides with the will of God. But doesn't pre-destination mean prayer does not change anything? The answer is that it can "change" your understanding of your place in life. If you are praying for God's will to be done, which we have been taught to do by the Lord Himself in The Lord's Prayer with "Thy will be done, on earth as it is in heaven", then your prayer will automatically be answered because it coincides with God's will, which is, ultimately, what we desire as Christians. And the change in you will be according to God's will, which will be a blessing irrespective of what you think now or after any change. The fact is, if you are praying earnestly, then you will begin to recognise God working in your life and your perspective of reality will change! In a debate I was having with a Christian friend when I first came across pre-destination I posed the point that if everything is pre-destined, then aren't we simply like automatons going along with the flow, but conscious of the fact? He answered, "Now, I can’t ‘solve’ that mystery for you, but it is true, and it is wonderful. It doesn’t make us ‘robots’.... we still act and think and feel.... yet we rejoice that God hasn’t left us in the state we were in Adam to sin unto destruction.... but has redeemed us freely in order to bring us into a wonderful salvation. If the only way you can think of that is as a sort of ‘robot’... then I’m happy to be one!! But I don’t think that term does justice to the reality of the situation." And like my friend, I concluded that I too, am happy to be such a "robot", while recognising the term does not do the situation justice. This blog obviously cannot do justice to the huge topic I am trying to tackle here, and I am sure that such writing raises many more questions in some people than it answers. However, one question that I believe might be raised that I can answer now is that I know of no other "faith" that answers as many of life's difficult questions as the Christian faith and the Bible ... nor of one that speaks in terms that, even today, so closely touches upon modern day thinking and reminds me of some of the modern terms used. If I was not a Christian already, discoveries in modern science, and programs like Horizon, would have probably made me start looking at the Bible again anyway, because of some of the verses I recall reading at one time or another in my life. Although, the pre-destination argument I use obviously does not permit that way of thinking for myself. However, if you are of a different faith (or no faith at all), then I would like to hear your own understanding of life and reality. Where and how do you gain meaning? Is the question I just asked a meaningless one for you? There are so many other avenues I could have gone down, such as talking about the requirement of a blood sacrifice as the reason for God hating Esau and a pointing towards the blood sacrifice of Christ to come. And how we are only saved by the grace of God and not by good works. i.e. It does not matter how "good" you are, you cannot "save" yourself through good works. And then there is the question about all the different "Christian" religions ... not all those that call themselves "Christian" are Christian. In fact, if there is one thing to take away with you from reading this blog, it is that being a Christian is as much about "searching" for the Truth about the reality of life than anything else. It is not about traditions (such as "Christmas" and "Easter" which are from pagan origin), and of which I have nothing to do with. Nor is it about being a crutch to help me through life, but more of a recognition that I am not in control of my life, but someone far greater is. And on the topic of other faiths and pagan traditions, there is a book entitled "The Two Babylons", by Alexander Hislop (1853) that helps put the many world religions into context and times with respect to the origin of the Bible. Basically, it covers how the various other old religions that may be considered "equals" to the Bible have come about with respect to the time of the first human beings, Adam and Eve. Finally, I must agree that much of what I have said comes down to a matter of faith, which to a Christian, is another gift from God. Why should I believe that the Bible is the true word of God where other religious texts claim the same? ... Faith! Why do I believe the Bible has not lost something in its translation since it was first written? ... Faith! However, I do believe that I have spent many years searching and testing the scriptures with scripture to avoid being accused of having "blind" faith. However, when it comes to believing the Word of God over the words of men on subjects such as creation, I can only thank God for the insight and mind He has given me to help me understand how His guiding hand is at work in the universe as opposed to leaving me with an image of a chaotic cosmology with only a cold future devoid of life. Like the character in a module who has just been told that the world in which they "live" is in fact a pale copy of the reality of things and that there was more to existence than what they already knew, the Bible has done the same for us in our world. And like a DM making themselves visible to players to lead them away from a problem, so God has done the same for our world. In our world, however, the Bible tells us that our lives are pre-destined to believe this truth or not. Do you know where you currently stand on this? Even the smallest of faith is a good starting point, as with it you can pray for more faith and, if it is God's will that you should have more (and the Bible tells us that the only reason we do not have more faith is because we have not asked for it through prayer), then it is a given that your faith will increase if prayed for in earnest. This is when the walk with God and growth in the knowledge of reality really begins. Please ask as many questions as you like, pose theories, post your own ideas and just talk about what I have written here. All comments or objections raised politely will be appreciated. Watch the discovery channel series Through the Wormhole with Morgan Freeman. It starts out with outer space talk then a few episodes it goes into this stuff, such as who made us etc. Do you know if it is being broadcast on any other channel ... or if there are any downloads to watch? I will try to find some clips myself, but do let me know if you find any as well. Just a POI, as cool as the Matrix was, it was preceeded by a Doctor Who episode of the same name (guess what the plot was). I thought there were a few of the old sci-fi that touched on a Matrix kind of idea. Good to know Dr Who did too.